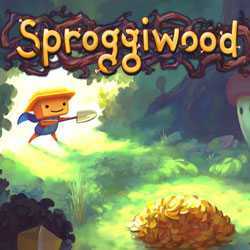 Sproggiwood is a RPG and Strategy game for PC published by Freehold Games in 2014. Enter a world inspired by Finnish mythology. You were just a farmer in a small town at first. When one of your ships ran away, You found a new village by following it. Yes, This village is just built for you!